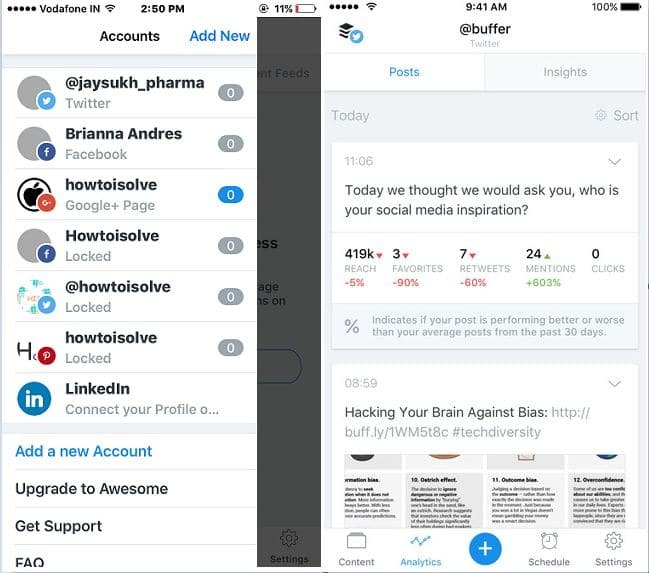 Automatically schedule twitter post on iPhone, iPad or iPod Touch is difficult task for Tweet lovers, marketers and business users it’s hence that, officially there is a no option in twitter iOS app. But now we have a great options and opportunity to share preset text on your twitter account under the top security. 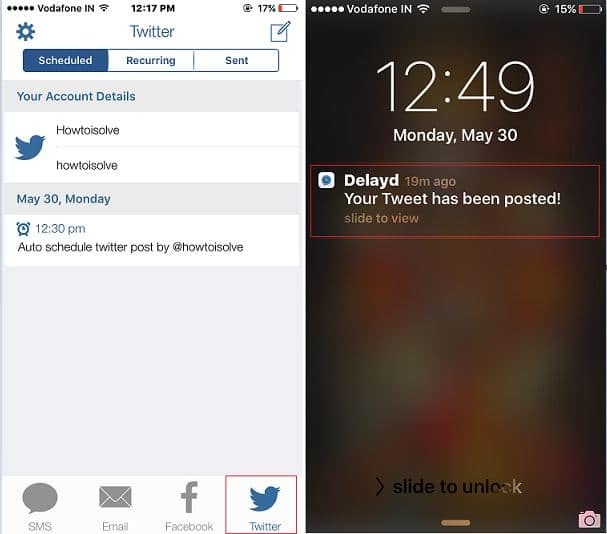 Just like post Scheduling for Facebook, Text schedule, we can also do for twitter tweet. I would like to recommended best third party app that’s works for you from your iOS device. And it will auto post new tweets after set your schedule twitter post on iPhone. Auto share post in twitter on your schedule in free, Also option for extract more features depends on your professional or business use. Multi-functional Third-party app for twitter app schedule, automatically publish new tweet in twitter account by push delayd tweet. This app is also handy for schedule post on Facebook, iMessage. 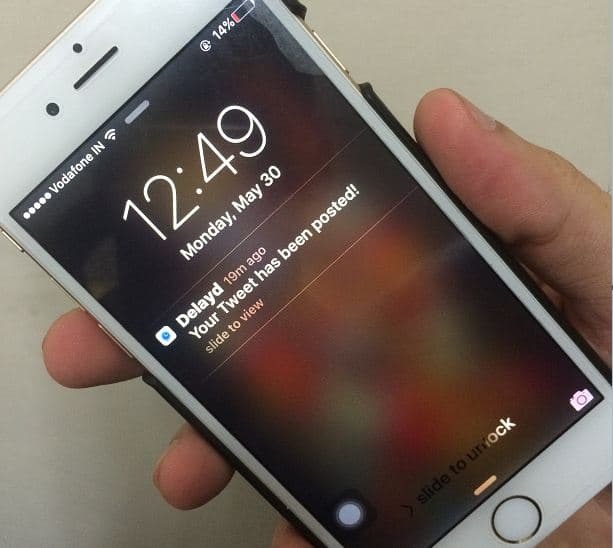 Alert in notification center after successfully post auto-schedule post in twitter by Delayd. Buffer auto scheduling app pulls out at top position, because it’s bleach out with more features, Social media integration, Buffer Extension option. Buffer Extension – Add Buffer extension in iOS browser, directly share on buffer from browser and Set it on your time schedule for publish in connected social profile. Done you job for auto post new tweet in twitter account with Hootsuite. 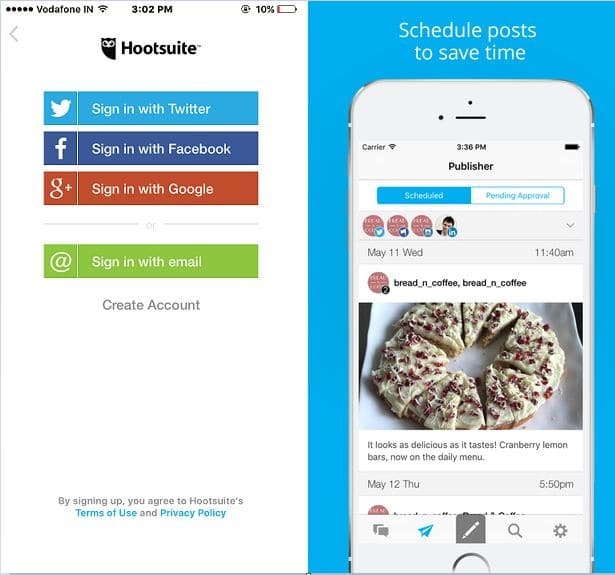 Other social accounts instagram, LinkedIn, Facebook also possible on Hootsuite. Up to 3 social accounts you can try this app for free, for more premium subscription option available. Also checkout report to know click through rate from all scheduled post in Hootsuite. Above all are free app for feel relax when you are off duty/ Show off on job by pre scheduling post for the future days. Share about experience by schedule twitter post on iPhone using above app or own ways to us on comment.